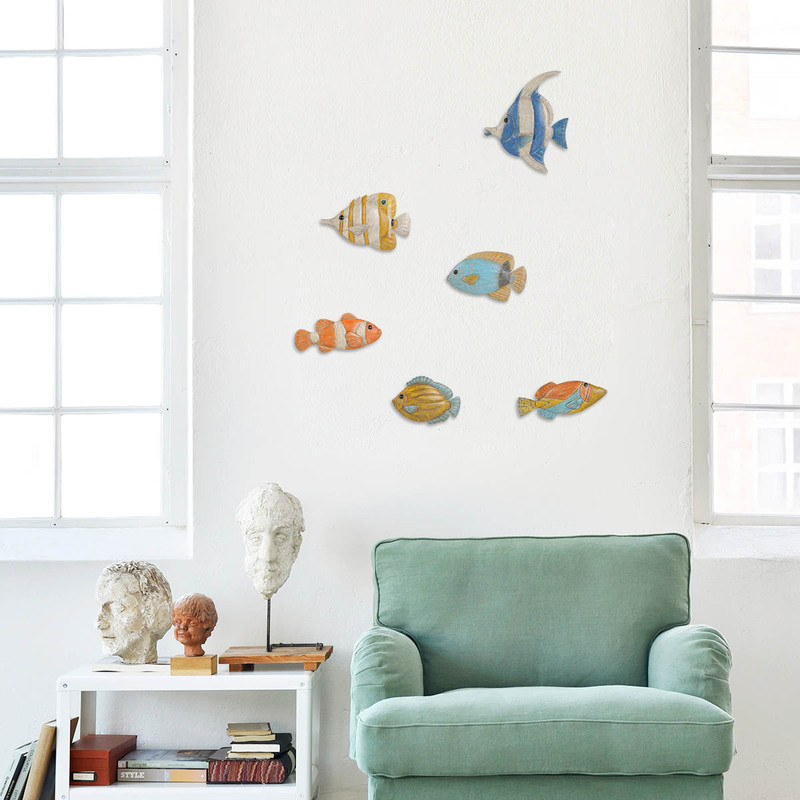 This is an extremely creative iron fish wall decoration. 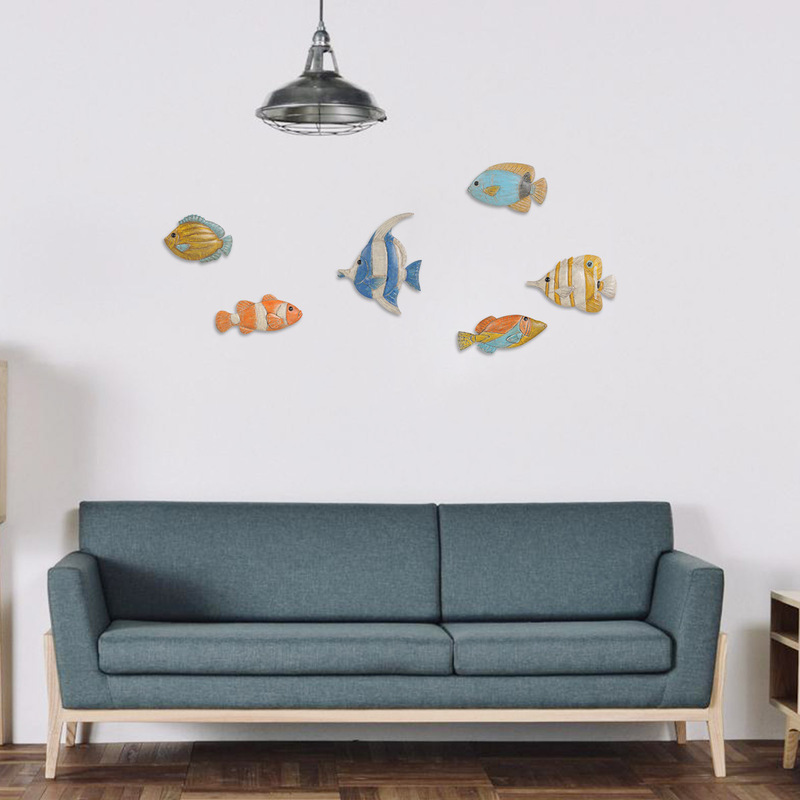 The fish swims freely and brings vitality to your home. 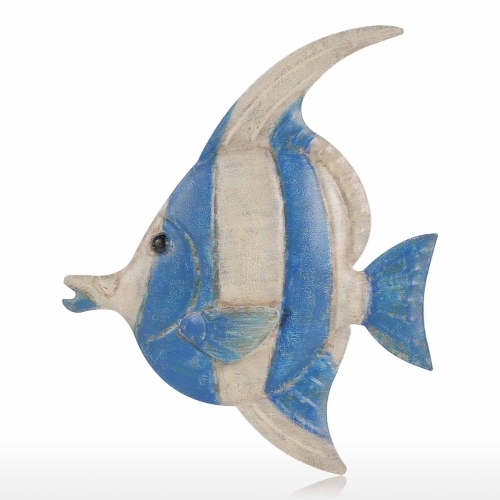 The image of the fish is vivid and full of three dimensional appeal. 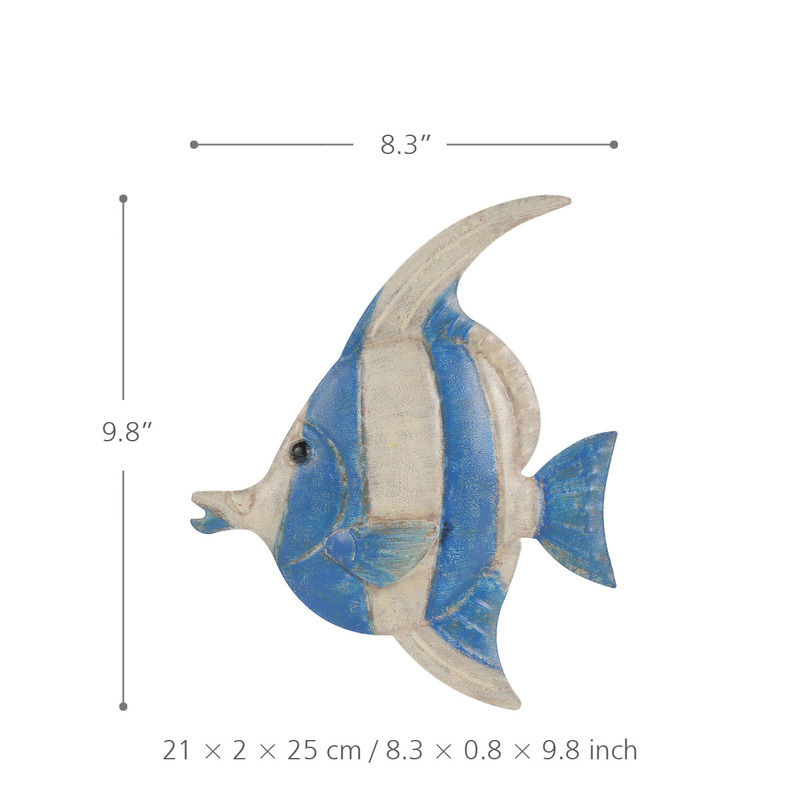 The scale is clear, and after handmade coloration, the fish looks more modesty and vivid. 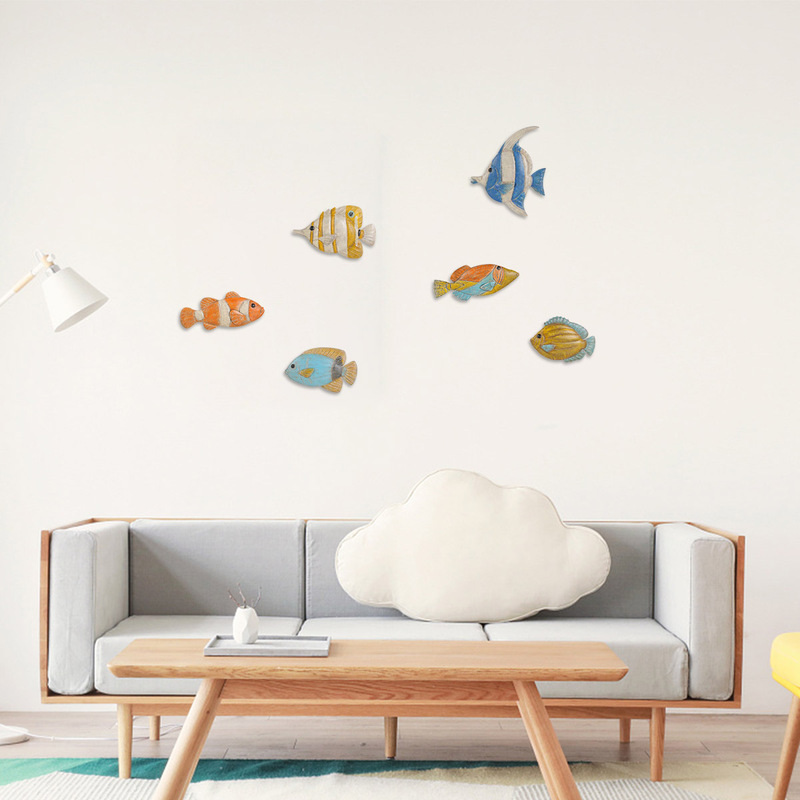 The sculpture has adopted scentless environmental paint, and after several processes like rust-proof and baking paint, it won’t fade nor peel off. 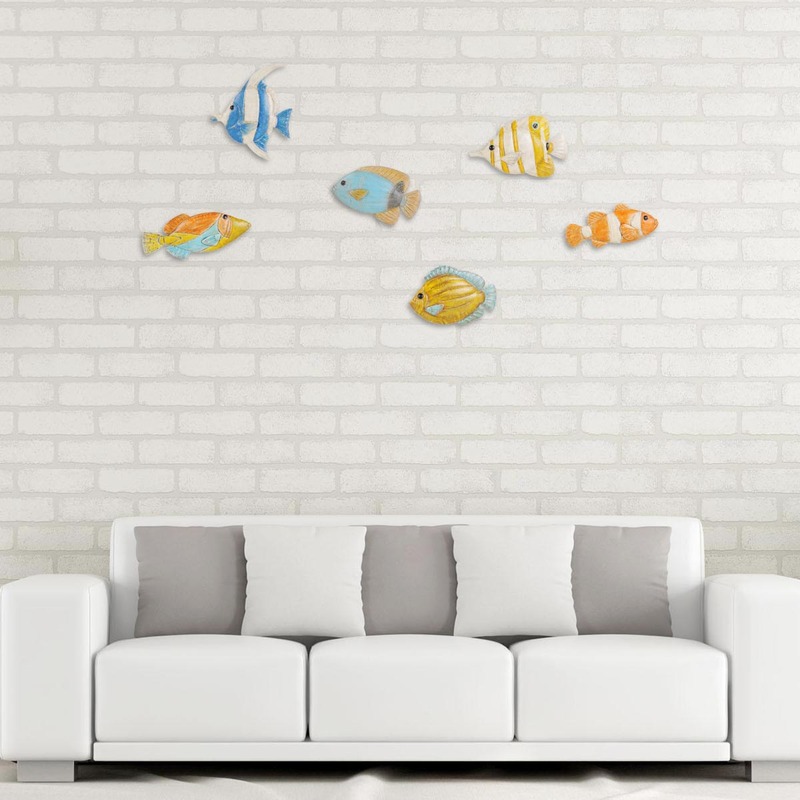 It is suitable for living room, study room and other interior decorations, which embellishes your home. The product is 8.3 inches in length, 0.8 inches in width and 9.8 inches in height. The sculpture is vivid and has a strong three dimensional appeal. It is welded and colored by professional craftsman with exquisite workmanship. The sculpture has adopted scentless environmental paint, and it won’t fade nor peel off. 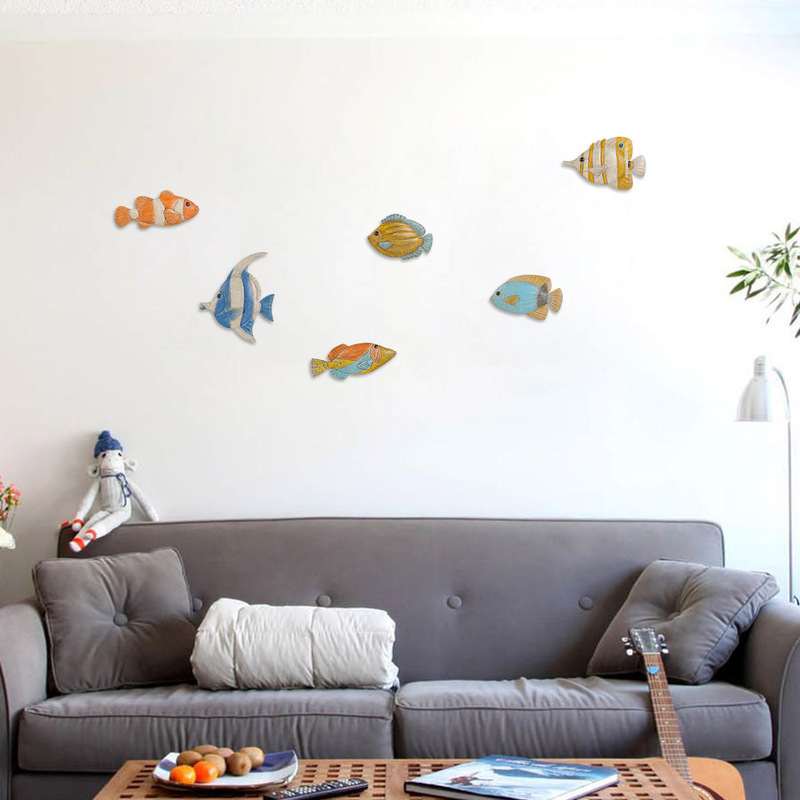 It is suitable for living room, study room and other interior decorations, which embellishes your home.